Watch Out for Fatal Flying Guillotines! If you’re in the chi this Thursday, you need to be at Guillotine. 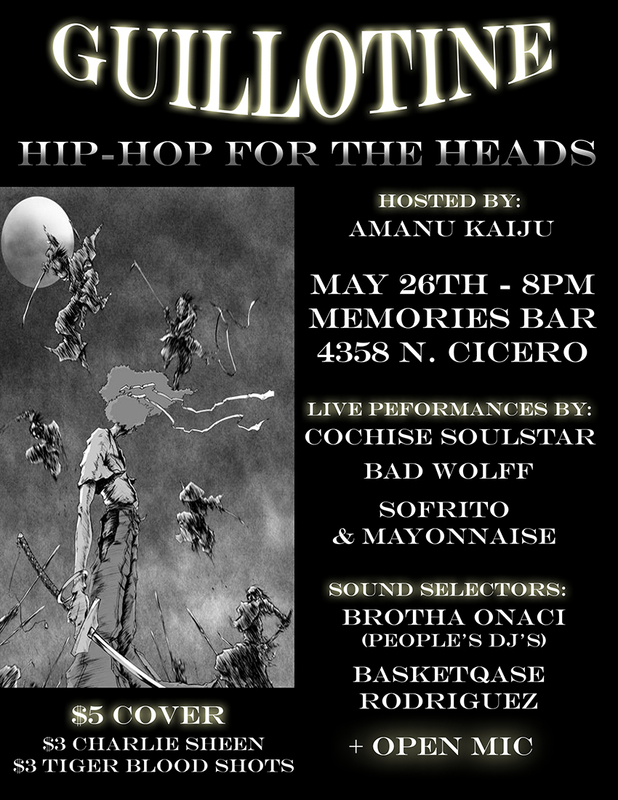 The homie Amanu Kaiju will be hosting and several dope acts will be performing. Brotha O will be one of the selectors, and he’ll be providing seriously dope sonidos. Who knows, I may even rock the mic for minute…Peep the flyer below.